Ekahi is a table that is perfect for your entryway or great focal point in any room. This piece will be built to order and made of Curly Koa and dyed Curly Mango Wood. Please inquire regarding estimated time for order to be completed. Completion to be based on artists’ calendar. 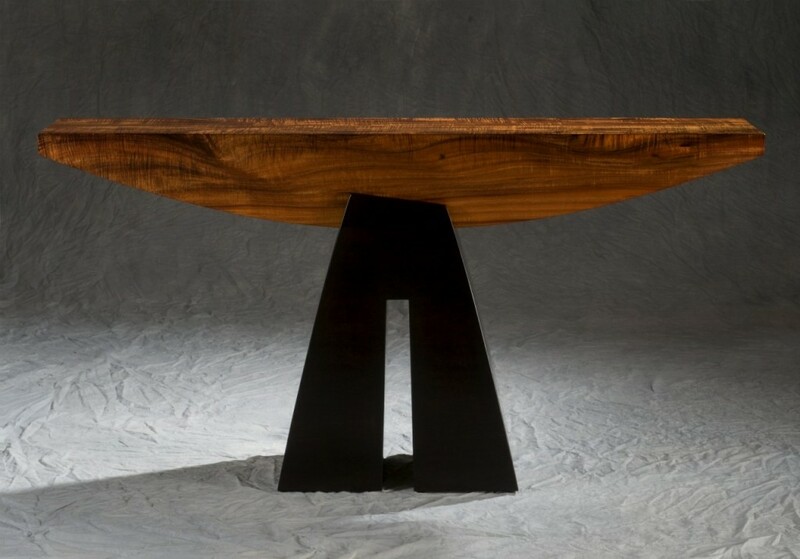 This image shown is Ricardo’s “One”, named Best of Show at Hawaii’s Woodshow 2011.